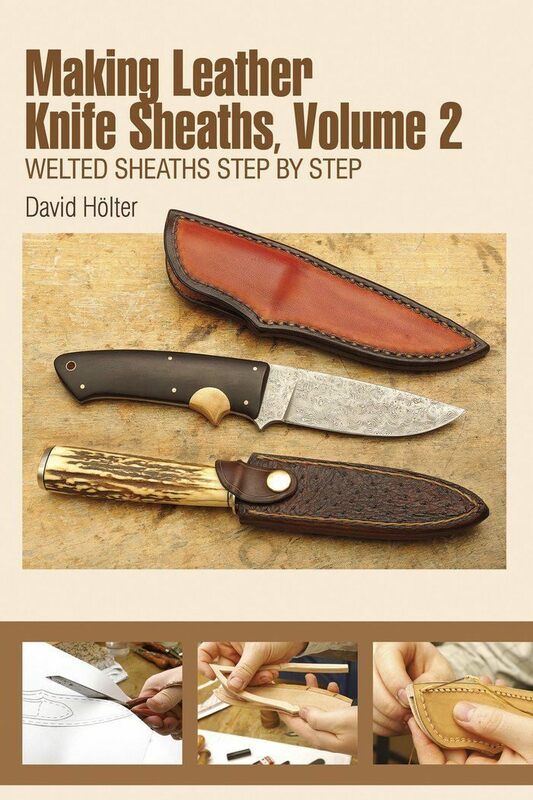 Welted Sheaths Step by Step. Protect that beautiful hand-forged knife you've just completed or keep your favorite piece of cutlery close for daily use with a leather sheath. From basic leather working techniques to a completed sheath this how-to book will walk you through the steps to produce your own fixed-blade knife sheath. Choose from four different designs each presented in detail including a sheath with folded belt loop a scabbard with leather lining and riveted belt loop a sheath with safety strap and attached belt loop and a scabbard with belt clip. Complete with illustrated tips on sketching the sheath design and treating the leather as well as four complete sheath patterns and a supply list this guide will provide you with the know-how and tools to make sheaths of your own design.